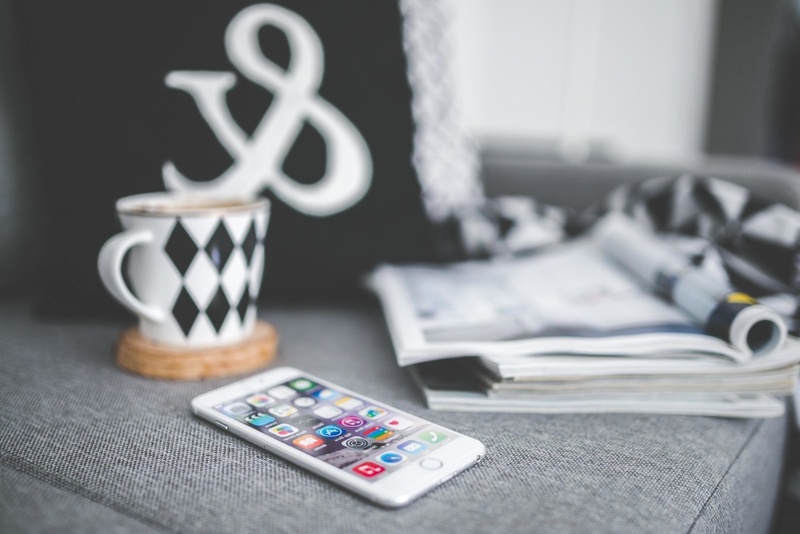 Social platforms are constantly changing and evolving, and if you’re not careful you can quickly get left behind. We’ve rounded up the key updates, announcements and news stories from March that may affect your marketing strategy, to ensure your social approach remains agile. Facebook started the year off strong by announcing their vision to combine their platforms, and began the month by rolling out shared features between Facebook messenger, Whatsapp and Instagram direct. Facebook had its worst outage to date, with some users reporting a downtime of 24 hours, across Instagram and WhatsApp too. The blackout was rumoured to have been caused by a hack, which Facebook was swift to deny, instead blaming it on “server configuration change”. Whatever caused it, it was a costly mistake. Not only did Facebook’s stock drop by 2%, but based on the advertisers across its platforms the event could have cost the company up to $90 million in lost revenue. To rub salt in the wound, users – of course – went flocking to Twitter to discuss #FacebookDown. On a more positive financial note, while there have been rumours of Facebook releasing a cryptocurrency for some years, this month they finally revealed that they are currently working on one. It will be a coin for WhatsApp, working in a similar way as PayPal and is to be ‘coined’ Facecoin. Facebook has since announced they are seeking one billion dollars in funding for this project. Updates to the advertising side of the platform look set to benefit brands. Facebook announced that they will replace their ad relevance score with new ‘more granular and actionable’ metrics come the end of April. While this should help brands to benchmark their ad performance against competitors, the launch of an official Ad Library will definitely be beneficial in this regard. Prior to this, marketers could only see active ads by visiting each of their competitors’ pages individually. The intended use of the above Ad Library is actually to increase transparency following the 2016 US presidential elections where certain ads were accused of being used to influence voters. Facebook’s legal team had a busy month, suing Four Chinese companies for selling fake accounts, and two Ukrainian men for stealing user data through a browser ad-on. Although taking action is a step in the right direction, the events highlight that API abuse is still a considerable issue. In a further bid to improve their reputation, they reacted to campaigns by civil rights groups against their seemingly discriminatory targeting tools, by removing age, gender, race, zip code and salary for ads relating to housing, employment and credit. The predominantly B2B platform remained fairly quiet in March, but their teams have also been working away at updating the ad targeting options to offer advertisers the ability to use lookalike audiences. Initial tests have reportedly seen results increase ‘up to 10 times’. They have further expanded on this through a new partnership with Adobe, with the intention of improving ad targeting through deeper data analysis. 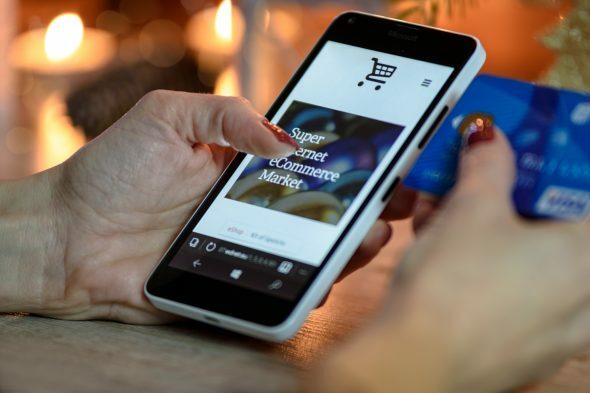 The most notable change impacting e-commerce that occurred last month was that Instagram is in the process of upgrading its shoppable tags to a direct checkout on the platform itself. This should significantly streamline and speed up the customer journey – with 130 million people already tapping on the existing product tags every month. Creator accounts have been teased by the platform for users with a large following, offering additional tools than their current business profiles. Influencers will be able to streamline their incoming direct messages, making it easier to engage with and respond to fans. The Instagram breakfast event for businesses and influencers was where the new creator accounts were unveiled, and Instagram also announced self-serve branded content ads. Brands can now put money behind the posts of influencers they are working with – ‘branded content ads’ allowing them to capitalise further on the existing collaboration and reach beyond the influencer’s direct audience. UGC (user-generated content)-style posts tend to out-perform brand content, despite it being a clearly marked collaboration through Instagram’s content partnership programme which was introduced to help with transparency of ads. Although not as revolutionary as the introduction of IGTV last year, Instagram is testing a way to watch videos with friends within instant messaging. Perhaps of more use to brands, however, is the possibility of a ‘video scrubbing’ feature which is currently being tested. Not only will this simply allow individuals the power to skip or rewatch a certain section of a video, but it will also help marketers gain audience insight. For example, they will be able to pinpoint the most popular part from where individuals are skipping to. 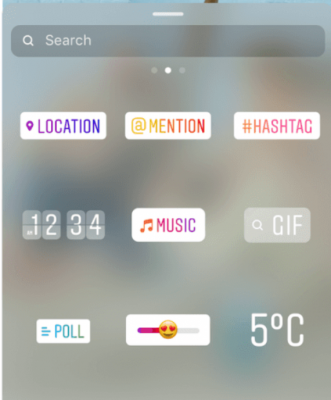 While everyone is often quick to shun Snapchat, Instagram is yet again ‘borrowing’ ideas from the platform by testing a ‘Snapchat-like Stories UI’. The new-look will incorporate a wheel-like selection menu. With the continuous introduction of new features on stories such as music and polls, the current interface has become somewhat cluttered. Optimising this feature is important for the platform, as stories look set to bring in $1.5 billion this year. Brands can now use poll stickers within their stories which – if used well – will allow them to gain insight from and directly A/B test their audience. Twitter has shown it will not be left behind, by announcing a camera-focused update to improve the ease of uploading visual content to the platform and enhancing their existing style of content by allowing subscriptions to threads. With the appointment of Google’s ex-senior business leader of US deals and partnerships, they have also hinted that they will be getting more serious about advertising with agencies in the future. Some of the more positive news to come out of the social media industry last month, was Twitter’s commitment to having a workforce comprised of 53% women, with 5% to be black and Latinx, by the end of the year. They are also recognising the negative impacts that can occur from spending lengths of time on social media, by tackling individuals increasing exposure to blue-light with their new ‘dark mode’. This is literally a black background to ease the effect of blue-light on users’ eyes. Despite being caught up with the tragic murder case of teenager Breck Bednar, contrary to this (or perhaps because of these events) Snapchat is now working to develop a new age-verification control, preventing users under the age of 13 from logging on to the platform. They are also widening their offering, and jumping on the gaming bandwagon with a mobile gaming platform rumoured to be launching in April 2019! Facebook have also added a dedicated gaming tab to their own mobile app. to encourage this audience over to their platform. Media Chain have discovered that gamers in fact have a ‘43% higher watch time for social video compared with all other audiences on social media’. The demise of Tumblr seems imminent, with traffic to the site ‘tumbling’ by 30% since December. This allows for a new social site to step into the space with a bang – enter Firework. Described as TikTok but for ‘professional filmmakers’ the video app cleverly allows creators to capture both horizontal and vertical video from their mobile at the same time. Despite Facebook’s difficult month of outages and walk-outs, the other shifts across social have been positive announcements of new ways brands can make the most of each platforms’ offering. If you’re still feeling stuck in a rut with your social despite last month’s updates, then take a look at these 6 stand-out brand campaigns for inspiration. Be sure to check back here every month to stay ahead of the changes that can affect your marketing strategy.